Description: Urban Sanctuary; this beautiful residence of Kushi offers a unique opportunity for investors. With a great tenant locked in for the next 2 years with the possibility for longer; providing a good flow of revenue and potential of higher returns. Its private setting amid cosy ambience comes complete with carpets, tiles, stone bench tops, modern appliances and air conditioning. Provides a modern, relaxed family environment of comfort and flexibility. Capturing spectacular views of Mount Stromlo, Black Mountain and The Brindabella Ranges. Combining modern with high quality finishes, the open-plan kitchen, dining and living area flow through to a generous covered balcony with great views. You will also find the two bedrooms have built-ins, with a two-way contemporary bathroom. The stylishly appointed kitchen is equipped with quality appliances and high ceilings which are set and designed for optimal natural light. Other features include laundry and air conditioning. The property's blue-ribbon location is set in an admired complex in a growing location, within walking distance to schools, child care centre, park-lands and future shopping precinct. Ride the mountain bike trails in Stromlo Forest Park, and explore the numerous walking and running trails. 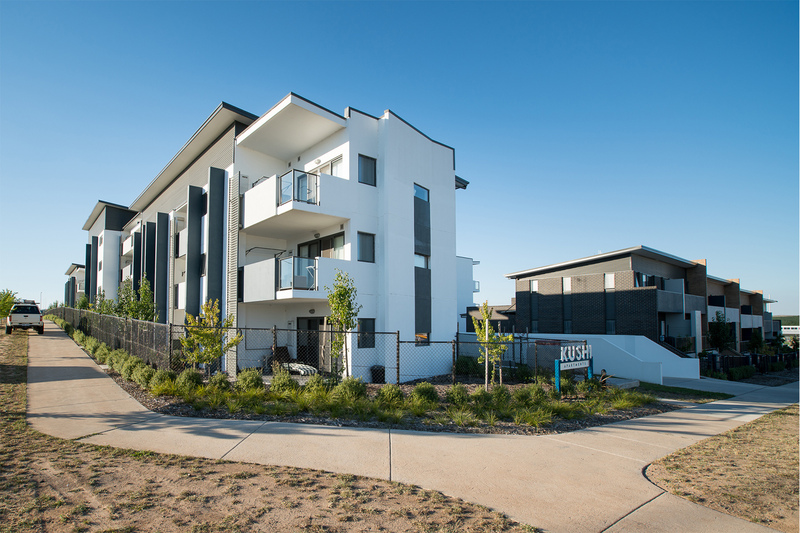 Enjoy easy access to the CBD, a short drive to the major employment hubs of Civic, Woden and the Parliamentary triangle. It is all here at your new home, 11/60 John Gorton Drive COOMBS.